Posted July 3, 2018 & filed under Blog, Executive Coaching, Top Team Effectiveness. In the final chapter of the book, Angela Duckworth describes the book as her way of taking the reader out for a coffee and telling them what she knows. This encapsulates exactly how this book made me feel. It felt like a conversation with someone who has a really interesting story to tell and you get the sense that they have played it over and over in their mind, and from different angles, so the narrative seemed to take on a life of it’s own. You get swept away by their enthusiasm and enjoy the different avenues it takes but after a while you feel a very strong desire to talk about something else. 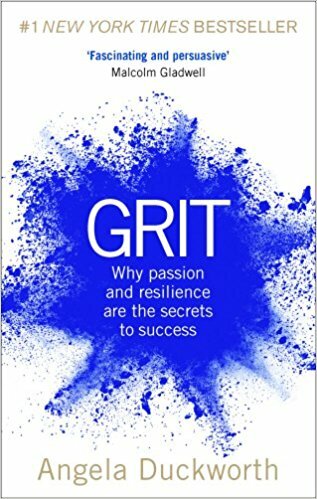 There is some incredibly interesting research in the book and the combined power of passion and perseverance (The Grit Scale) in achieving potential is a compelling argument. It is a very readable journey through the author’s research, which not only shares the findings but also helps us to make the next step, to think how these results might be applied to make improvements for ourselves, our families and organisations. I appreciated how open Duckworth was with how much is still unknown and how Grit is not the whole story in respect to success, happiness or whatever an individual wants out of life. However, at times when there was a lack of scientific research, the induction of anecdotes or personal examples relating to her family didn’t always resonate with me and it felt like the book was extended further than maybe it needed to. I was also left with a nagging feeling of Is ‘Grit’ really measuring something new? Grit leaves you with a lot to think about, particularly in the first few chapters. If (like me) you are someone who is interested in many things, likes to have lots of projects on the go and sometimes wonders “If I stuck to just one thing would I achieve more?” then Duckworth’s view of resilience might encourage you to sharpen your skills perseverance and engage more deeply with your passions. Hazel combines her experience of challenging leadership roles with a deep understanding of human psychology to support clients to overcome challenges, build resilience and deliver sustainable high performance.